This seared ramps recipe is simplicity itself. Nothing more than fresh ramps (of course), olive oil or–better yet–bacon drippings, and sea salt. I’ve never quite gotten ramps. Thing is, for years I had to will myself to appreciate the lure. We’re talking stinky, slender, scallion-y leeks with floppy rabbit-ear leaves. That fervor for the flavor of ramps elicited in others? I’d never felt it. I certainly tried. I longed for it in the same way that I longed to be able to whistle as a child, the same way that others longed to catch a glimpse of Elvis on the sidewalk. Which is to say, futilely. The first spring the ramps’ pungent aroma permeated my fridge, it effectively quelched my enthusiasm before I’d even taken a taste. Each spring I was sure that this would be the year the clouds parted and the choirs of angels sang and I, at last, succumbed to the ramp’s rapturous charms. Yet it was the same year after year. And as year passed, I felt more of a fake, a poser, an imposter, a loser. Whereas I’d originally attributed my failings to an innate inability to appreciate its curious flavor, in retrospect, though, it seems I’d let others’ good intentions interfere. Here’s why. Ever notice how ramps elicit strange zealot-like behavior in otherwise sane adults? Quick to talk, slow to listen, these ramp proselytizers tend to offer an unbidden stream-of-consciousness of crazy ramp recipes. My mistake? Listening to their well-meaning, but confounding, sermons for fussy techniques and tactics and tricks, which never failed to leave me intimidated and doubtful. 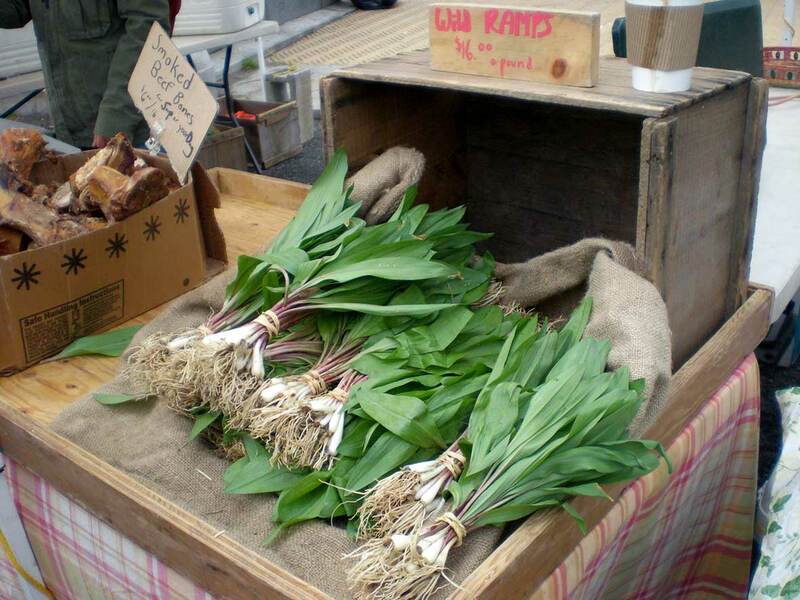 And then last April, ramp season found me at the crowded stand of Rick Bishop’s Mountain Sweet Berry Farm at Union Square Greenmarket in New York City. It’s the stand with the red pickup truck fronted by two tables of tubers and, when in season, a crate of ramps. Behind the ramps stood a whitewashed board scrawled with descriptions of ramp preparations in the handwriting of many of the most season-conscious chefs in town. Bishop and I, it seems, are kindred souls. When he started selling ramps 15 years ago, he didn’t know what to do with them, either. Not because he doesn’t like them, though. “Because I can’t cook,” he explains. “But I wanted to be able to tell my customers who asked what to do with them.” So he propped a white board against his truck, scribbled “Ramps” at the top in black magic marker, and asked the chefs who crowd his stand every Wednesday and Saturday to share their thoughts. They obliged, scrawling everything from relatively elaborate approaches to simple seven-word recipes (“Chop whole plant. Sauté. Toss over pasta.”) So plentiful were the inspired ideas, Bishop recently had to retire the original board and begin a second. And there I found my muse. Not on the board, exactly, but alongside it, in the form of Alexandra Guarnaschelli, chef of Butter Restaurant and star of two Food Network shows. She’d been chatting with Bishop behind his stand, just after the last bunch of ramps had been sold. Not recognizing her, I actually mistook her for Bishop’s help. When I asked how she prefers her ramps, she generously shared an impromptu and simple lesson, explaining how she cooks them whole, starting the sturdy bulbs in the skillet while draping the delicate greens along the top edge of the skillet. When the bulbs are lightly charred, she tucks the greens into the pan until barely wilted, motioning with her hands. That is to say, she prepares them simply. It wasn’t until this past weekend, after scoring my first bunch of young, slender ramps from yet another budding season, that I tried Guarnaschelli’s approach. A year’s worth of anticipating, wondering, musing came down to three minutes in a skillet, in which the dainty bulb was sweetly caramelized, the greens barely wilted, the pungency tamed so that it was only ever so slightly pronounced. Finally, I understood. The season may be ephemeral. The love is not. Available during late April and early May, ramps appear to be scallions in miniature, save for a swath of lavender around their midriff. Their bewildering taste is an uncanny combination of garlic and leek with a hint of chive, and is a much anticipated—and perhaps acquired—taste. While there’s no way to actually extend ramp season, turns out there’s a simple way to minimize the bellyaching and bemoaning that goes along with their disappointing disappearance. Simply freeze them. That’s what LC Recipe Tester and Community Moderator Dan Kraan does. He saves a batch of fresh ramps every year, trimming the roots off the cleaned ramps and freezing them in a single layer on a baking sheet before transferring to a resealable plastic bag. If you freeze the whole plant, cautions Kraan, be sure to chop the leaves soon after removal from the freezer, as the leaves wilt like spinach when they thaw. The greens won’t exactly be like their fresh selves, so consider lopping them off and salvaging only the bulbs if you’re not keen on disappointment. And, on a practical note, stashing only the bulbs takes up far less space in your freezer. 1. Heat a large, preferably cast-iron, skillet over medium-high heat until hot but not smoking. Add a tablespoon or so of the oil or bacon drippings, tilt to coat the skillet, and wait about 30 seconds. 2. 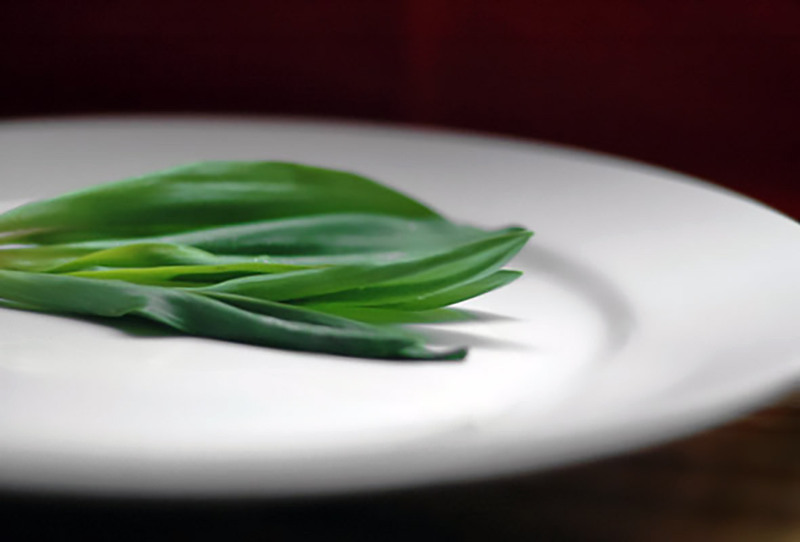 If using slender, pencil-thin, first-of-season ramps, place several ramp bulbs in the pan, carefully draping the greens along the edges of the skillet (without letting them catch fire from a gas flame), and cook, turning once, until lightly charred and almost tender throughout, 1 to 3 minutes, depending on the size. Gently nudge the ramp greens into the skillet, fanning them out as much as possible. Cook the leaves just until softened but not completely wilted, 30 to 60 seconds. If using ramps that are from mid- to late-ramp season and have a pronounced bulb at the bottom, trim the leaves from the bulbs around the neck, where the white fades to purple. Toss the bulbs into the skillet and cook, turning as needed, until lightly charred and almost tender throughout, 3 to 5 minutes, depending on the size. Toss the ramp greens into the skillet. Cook, tossing occasionally, just until softened but not completely wilted, about 60 seconds. 3. Transfer the ramps to a platter and sprinkle them with coarse sea salt. Repeat with the remaining ramps, wiping the skillet out and adding oil or drippings as necessary. Seared Ramps Recipe © Renee Schettler Rossi. Photo © h-bomb. All rights reserved. All recipes and photos used with permission of the publisher.